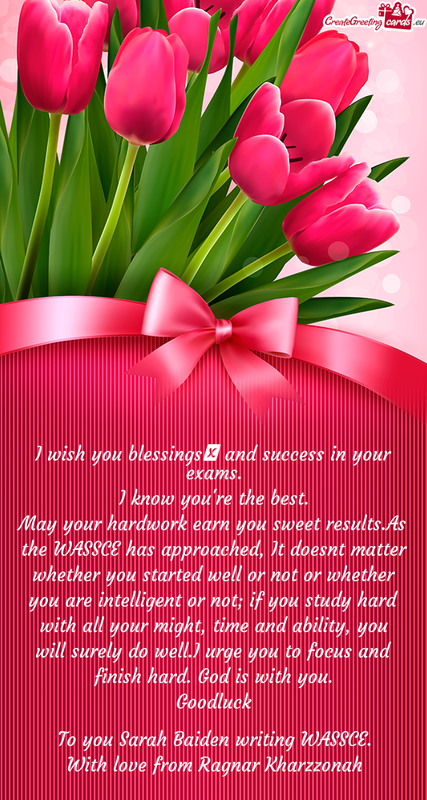 I wish you blessings​ and success in your exams. I know you're the best. May your hardwork earn you sweet results.As the WASSCE has approached, It doesnt matter whether you started well or not or whether you are intelligent or not; if you study hard with all your might, time and ability, you will surely do well.I urge you to focus and finish hard. God is with you. To you Sarah Baiden writing WASSCE.